Most people assume that making a crispy, delicious traditional or Belgian waffle at home is a difficult task. But, thanks to affordable and easy-to-use electric waffle makers that’s not the case anymore. However, a waffle is only as good as the waffle maker that bakes it, which is why we have decided to review the Dash Mini Belgian Waffle Maker. We will talk about the appliance’s key features as well as its pros and cons, and find out whether this mini waffle maker is worth your hard earned cash! Unlike most waffle makers which only do one thing, i.e. make waffles, the Dash Mini Belgian Waffle Maker is a multi-purpose machine that, with a little creativity, can make more than just waffles. 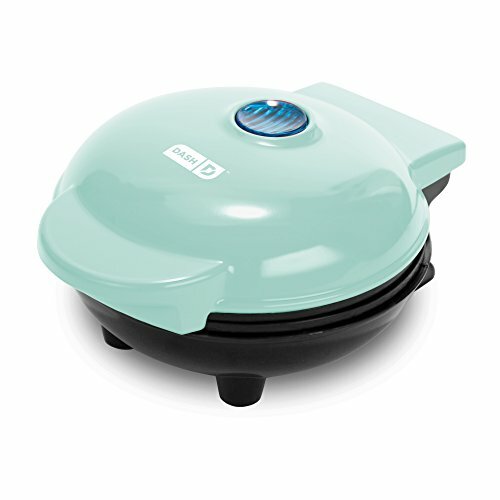 With Dash Mini you can make blueberry waffles, paninis, and even biscuit pizzas. Craving some hash browns? The Dash Mini Belgian Waffle Maker has you covered! This waffle maker can make single dishes in less than three minutes. You can transform your wet batter into snacks and treats you wish for. 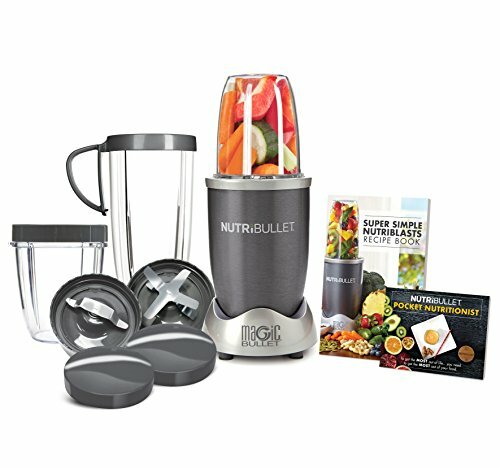 It is perfect to feed your kids on the go. There are tons of dash waffle maker recipes that you can find online. Using the Dash Mini Belgian Waffle Maker is simple and quick. Simply plug it in and you’re ready to roll. This waffle makers heats up in minutes. The waffles plates have dual non-stick surfaces that make cooking easy and consistent. Cleaning this waffle maker is easy too as all the non-electric parts can be wiped clean. Weighing just over a pound the Dash Mini Belgian Waffle Maker is incredibly lightweight and compact. 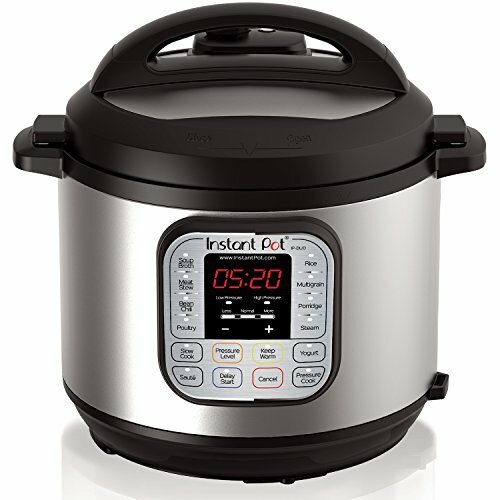 It’s ideal for small kitchens or college dorm life. It also a great wedding gift — thanks to its small size, it takes up little counter space. The Dash Mini Belgian Waffle Maker comes in a sleek design and trendy color options which can compliment any kitchen décor. The Dash Mini Waffle maker is backed by a 1-year manufacturer’s warranty; it also includes a recipe book and access to thousands of recipes online for free. Multipurpose waffle maker; makes, paninis, hash browns, biscuit pizzas, etc. The non-stick coating isn’t of high quality as waffles tend to get stuck a bit – so make sure you use fat in your batter! The Dash Mini Waffle Maker has mostly positive customer feedback on Amazon. This waffle maker scored 4.5/5 stars based on over 600 customer reviews. Question: Does this waffle maker contain Teflon? Answer: There isn’t any specific note that states that the Dash Mini is a Teflon free mini waffle maker. So, we can’t fully assure you that this waffle maker DOES NOT contain Teflon. The unavoidable fact is that most waffle makers tend to contain Teflon. If you’re looking for a non-Teflon waffle maker, check these out! Question: What size waffle does it make? Answer: The waffle is around 4 inches in diameter. Question: About how long does this waffle maker takes to cook a waffle? Answer: About 2-3 minutes depending on the waffle recipe. Question: Can I use this to make pancakes? Answer: No, it’s only for making waffles. Question: Where Can I find the dash mini waffle maker recipes? Answer: The Dash Mini Belgian Waffle Maker includes a recipe book. Plus, you get free access to thousands of recipes online. Question: How long does it take to heat up? Question: Is it possible to changes the plates to use it as a grill? Answer: No. The waffle plates can’t be changed. You have to purchase the mini grill separately. Question: How easy is to clean the waffle plates? Answer: It’s not hard to clean. However, the plates can’t be detached. Question: Do the waffles get crispy? Answer: To make the waffles crispy spray a very small amount of cooking oil. Question: How much batter should I use to make waffles with this? Answer: The Dash Mini Belgian Waffle Maker is a small waffle maker. You only need small amount of batter. About 1/2 cup or so of batter will do. Question: Does this waffle maker shutoff automatically? Answer: Unfortunately, it doesn’t. You need to turn it off manually after you’re done making waffles. And always remember to unplug your waffle makers! Question: What is the voltage? Answer: According to the label its 120 volts. The Dash Mini Waffle Maker starts at a very reasonable price on Amazon. Nowadays, waffle makers are getting cheaper than ever. You can find good, reputable brands selling waffle makers that cost less than the Dash Mini. Take the BLACK+DECKER Belgian Waffle Maker WMB505 for example. This waffle maker is under $20 on Amazon. That’s dirt cheap. Then there is the Babycakes Waffle Stick Maker which also under $20. Remember just because they are cheap or similarly priced doesn’t at all mean that they won’t make good waffles. All three of these waffle makers have similar designs, construction quality, and features. If you’re looking for something better, in terms of design and quality, but don’t mind spending a little extra, we would recommend you check out the Cuisinart WAF-V100 Vertical Waffle Maker. This waffle maker has a unique vertical design, looks sleek, and makes great Belgian waffles. It is also lightweight, easy to use and store too. Some folks might find pouring the batter through the spout a bit quirky, but take it as a part of the experience of making waffles. . The Dash Mini Waffle Maker is a tad different than other waffle makers out there. 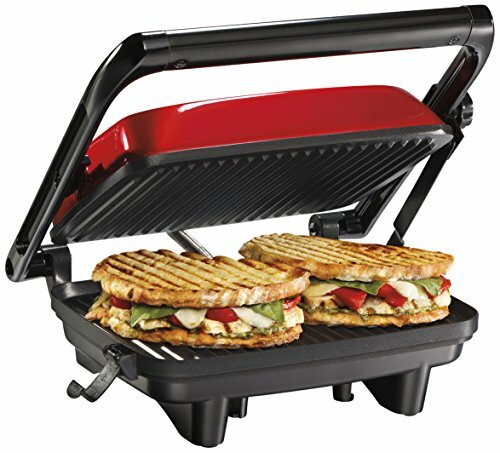 It a multipurpose appliance that can also be used to take paninis, biscuit pizzas, and heck, grills too! You don’t always find this kind of waffle maker every day, at least, not at this incredibly low price. If you don’t want to clutter your kitchen with single purpose appliances, and want a waffle maker that makes more than just waffles, the Dash Mini Belgian Waffle Maker is a good buy you won’t regret. Looking for a larger Belgian Waffle Maker? Read our review of the Chefman Belgian Waffle Maker!